This was not our best day. The plan was to anchor at New Teakettle Creek in one of Georgia's great marshes. 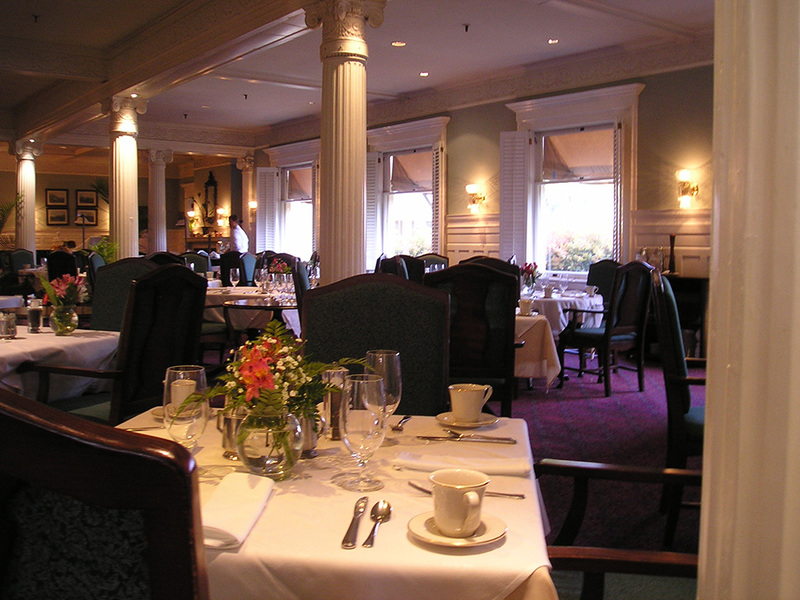 I had a magnificent breakfast (see photo) at the Jekyll Island Club Hotel and was back on the boat at 9:00AM ready to go. Mavis had walked 1.5 miles to a store to get groceries but when she went to pay found she had lost her money on the way. She walked back got some more money and returned to the store. A total of 6 miles and 2 hours of walking. So now we left at 10:30 but the weather forecast for the night was not good so it was decided to find a marina instead of anchoring. There are not very many marinas in the vast marshes so instead of a 40 mile cruise we had to go 82 miles. It meant an arrival time of 7:30PM just before sunset. However, the channel to the Delegal Creek marina was very confusing and at low tide risky. The course I plotted and loaded into the Garmin chart plotter refused to work so we had to resort to using the directions in the guide book. At times the depth sounder showed less than 0 under the keel but somehow we made it across the shoals. The marina was closed but they had said earlier to tie up to the fuel dock. We only took 13 photos today none of which will win any prizes.